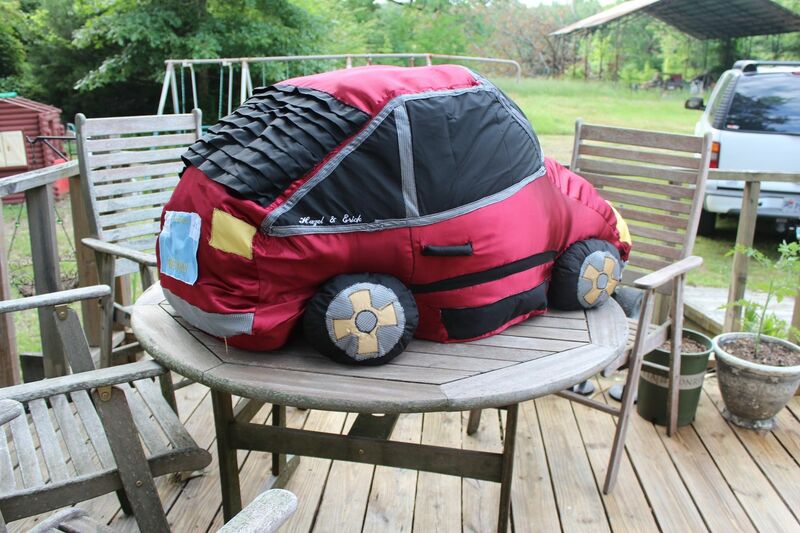 This car pillow is about 4.5' long and 2' wide. It was made for a woman for her fiance's birthday. She sent me pics of the car and gave me the car manufacture's name for the color. Computer does not always show true color. Then I drew it off on draft paper, transferred it onto fabrics, cut out each section and started sewing and embroidery. It was a handful!!! But, I enjoyed doing it. I love to be able to be creative. In need of something special like this for that person who has everything, just contact me and we will work out something grand for your special one.